Back to Romance is a unique collection of romantic standards, such as: Summer Wind, Here’s to Life, The Shadow Of Your Smile, Misty, and more. 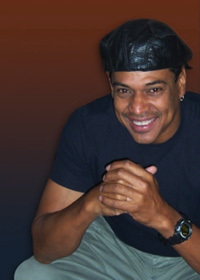 Rick’s vocals are frequently described as a combination of Johnny Mathis, Nat King Cole, and Lou Rawls. 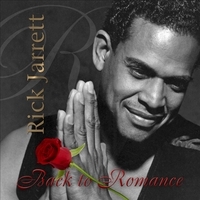 In Back to Romance, Rick Jarrett is backed by L.A.’s finest musicians including Natalie Cole’s former musical director, Terry Trotter on keys, Pete Christlieb on sax, Tom Warrington on bass, Joe LaBarbera on drums, and Ron Eschete on guitar. This CD is great for dinner music and relaxing. Rick is an accomplished actor and singer. He performed in Disney’s opening of Mulan at the Hollywood Bowl and also at the opening of the Hunchback of Notre Dame at the Superdome in New Orleans. He appeared on Days of Our Lives for over three years. His theatrical performances include King Theseus in a regional production of A Midsummer Nights Dream and the Cowardly Lion in a San Francisco Bay Area Production of The Wizard of Oz. He also performed around the country with the famous Platters R&B singing group. Currently, Rick Jarrett regularly performs in numerous jazz and dinner clubs throughout Southern California as well as many weddings and private parties.